Did You Know These Ancient Caves Are Located In The Heart Of The City? The caves are located on a hill that overlooks the Jogeshwari-Vikhroli Link Road and the SEEPZ area. A Direct bus (333) run by the BEST links the caves with Andheri station. The caves, once in danger of being encroached upon, are now protected on both sides – steel-fenced on the road side and walled on the hill side. The Mahakali caves are carved out of solid basalt rock. 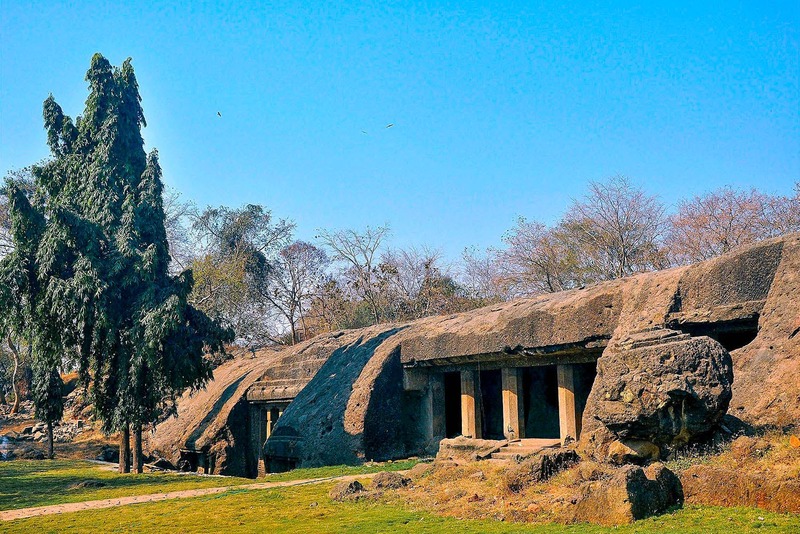 The largest cave at Kondivite has seven depictions of the Buddha and figures from Buddhist mythology. There’s just so much history that seeps in here. Mumbai has a number of historical spots you need to check out. While you’re visiting Mahakali Caves, you can also go down the road and also explore the millennia-old Jogeshwari caves. You could even spot street kids being tutored on the roadside or even huddled together, cramming for their exams. Do us a favour and help them out!